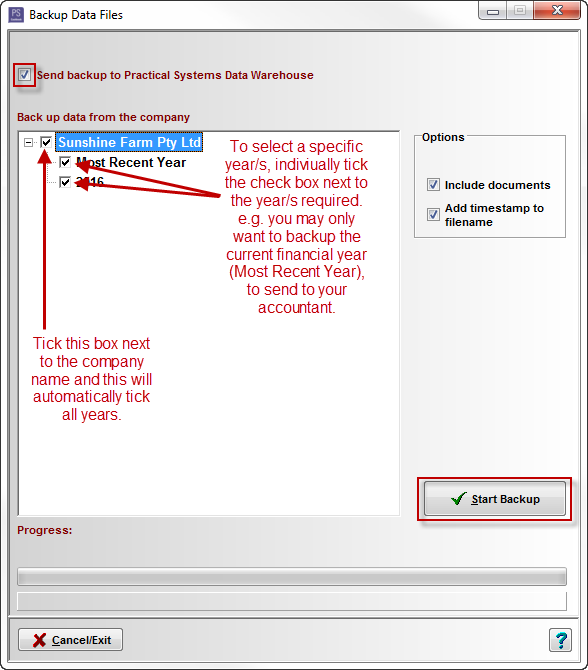 How do I backup my company data file to the Practical Systems Data Warehouse? PS Data warehouse is a secure online warehouse which provides you with a secure off-site storage option. Click on the Backup toolbar icon. 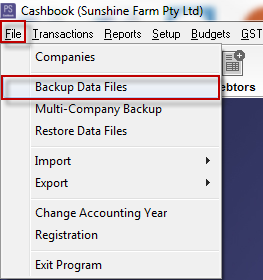 Click on the File > Backup Data Files menu option. Tick the Send backup to Practical Systems Data Warehouse check box. In the Options box, tick the Include documents checkbox, if you wish any documents attached to transactions to be included in the backup. Note: that this has the potential to significantly increase the size of the backup file, depending on how many documents are attached to transactions. 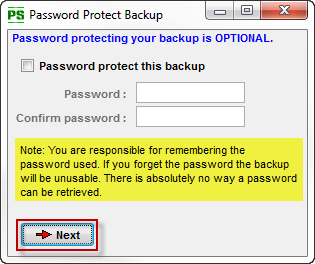 Tick the check box next to each year you wish to include in the backup. If there is not a tick next to a year, it will not be in the backup. You will now be asked to login to the Data Warehouse server. 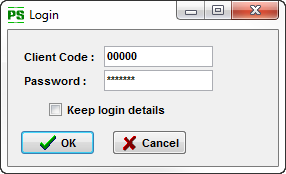 In the PS Login window, enter your Client Code and Password. We advise you do not Password Protect your Backup, as Practical Systems cannot retrieve your data if you forget your password.